Basel, 26.06.2018. Digitalization offers a range of possibilities for designing planning and execution processes more efficiently, quickly, cost-effectively and individually. Burckhardt+Partner AG is taking advantage of these possibilities and is therefore expanding internally. 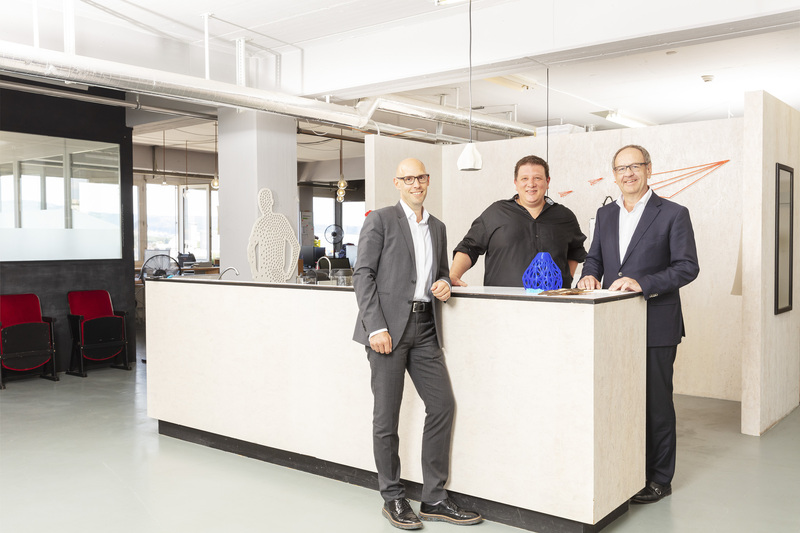 The architecture and general planning company acquired the innovative digitalwerkstatt at the beginning of June 2018. The resulting synergies will be used to directly research, test and implement new processes, methods and technologies in projects. Burckhardt+Partner AG is one of the leading architecture firms in Switzerland and operates internationally. Founded in Basel about 70 years ago, it has constantly developed and expanded ever since through restructuring and the use of new technologies and innovations. As of June 2018, digitalwerkstatt is a subsidiary of Burckhardt+Partner operating in the area of digital fabrication processes and research and development. This step towards greater digitalization stems from the need to design planning processes more efficiently and reduce the risk of error in the construction process, and is also a reaction to the expectation of faster results and more cost-effective planning. The merger of the two companies will not only result in new synergies; digitalwerkstatt is an expert partner that will allow the integration of digital fabrication and 3D data production into the day-to-day work process. digitalwerkstatt’s range of services includes digital fabrication, additive manufacturing and 3D data production. This strategic reorientation will enable the company to be well-equipped for the future and for complex projects. “Innovation is about penetrating new, exciting sectors,” explains Wolfgang Hardt, member of the company management at Burckhardt+Partner. “digitalwerkstatt will offer us support in the planning process not only through technological advances like parametric and generative drafting or virtual and augmented reality, but will also play a leading role in managing the introduction of automation that comes with digitalization.” The use of BIM as a planning and construction method has long been common practice at Burckhardt+Partner. With this new strategic approach as a basis, the “Digital Lab” has been established, which focuses on a range of topics related to digitalization. The advantage for customers: the architects will become a digital service provider that offers strategic management and assistance, defines topics and coordinates the entire handling process. These bundled services represent a logical step in the further development of architecture services at Burckhardt+Partner. Burckhardt+Partner has acquired digitalwerkstatt GmbH as a subsidiary, but the companies will remain independent and retain their respective brands.